Oats have become a regular breakfast item in many households. With a variety of Indian flavours and options available in the market, oats are no longer considered a ‘western’ food. 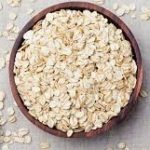 Do oats contain gluten? Can oats be eaten by celiac disease patients or those who have gluten sensitivity? Oats do not contain gluten. Gluten, a plant protein, is found in wheat, rye and barley. Oats sometimes get contaminated with gluten if they are cultivated near gluten-containing crops. That’s why, oats are in the ‘avoid’ list for those who cannot tolerate gluten. Oats are best avoided by those who have celiac disease. But if you are sensitive to gluten without celiac disease, you could try oats in small quantities to begin with. Oats are rich in soluble fibre, manganese, phosphorus and magnesium. Include oats in your meal plan at least once a week, to add variety and nutrition. 0 Comments | Posted by admin at 12:52 pm. Leave a comment! During one of my consultations, I learnt that gluten-free breads are baked and sold in Bangalore. I spoke to the owner of this bakery, Ms Shweta Muthanna and she said that she has been making gluten-free, lactose-free breads for a couple of years now. She also prepares cakes, buns and cookies that are gluten-free. Her products are made-to-order as of now and she plans to open a sales outlet later this year. With the number of gluten-intolerant persons growing in Bangalore, this would be useful for your friends / family, if not for you. 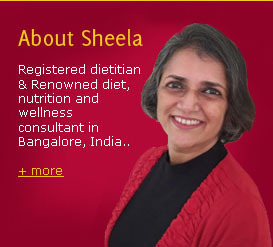 If you’re interested in gluten-free breads, call Shweta on +91 9845869109. 0 Comments | Posted by admin at 10:55 am. Leave a comment!